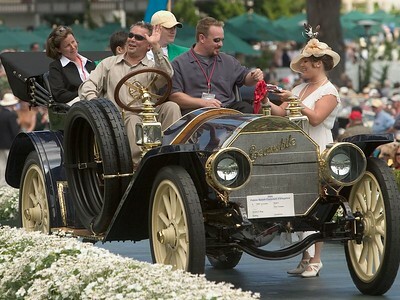 1912 Mitchell 5-6 Roadster. 3rd place, pre-1915. Ray Gibson. 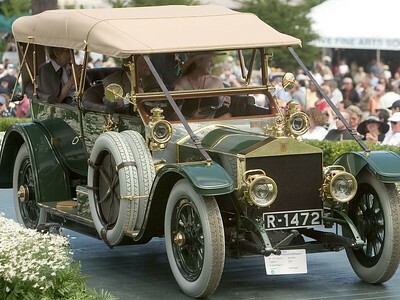 1909 Locomobile Model I Demi Tonneau. 2nd, pre-1915. Richard King. 1911 Simplex 50 Holbrook Toy Tonneau. 1st, pre-1915. Otis Chandler. 1921 Daniels D Submarine Speedster. 3rd 1916-24. David Lichtfeld. 1921 Owen Magnetic Model 60 Touring. 2nd 1916-24. The Nethercutt Collection. 1916 Crane-Simplex Model 5 Holbrook Skiff. 1st 1916-24. Jay Leno. 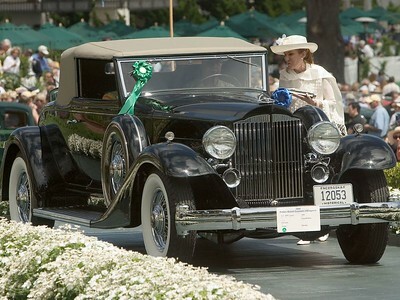 1933 Chrysler CL LeBaron Phaeton. 3rd American 1925-40 Open. Alan Melchior. 1937 Cord 812 Convertible Phaeton Sedan. 2nd American 1925-40 Open. Wallace Jones. 1933 Stutz DV-32 Weymann Super Bearcat. 1st American 1925-40 Open. Ray Scherr. 1937 Packard 1507 Coupe-Roadster. 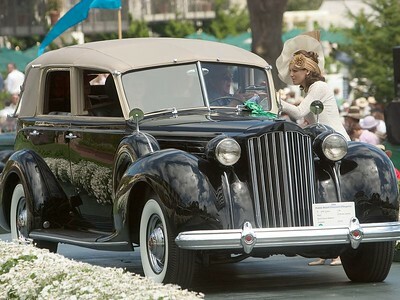 3rd Packard 1925-40 Open. Charles Morgan. 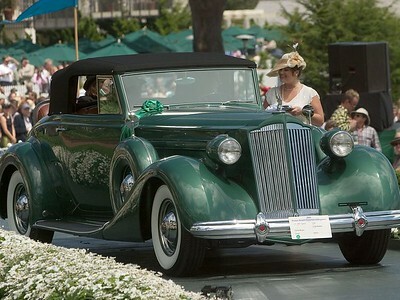 1937 Packard 1508 Convertible Sedan. 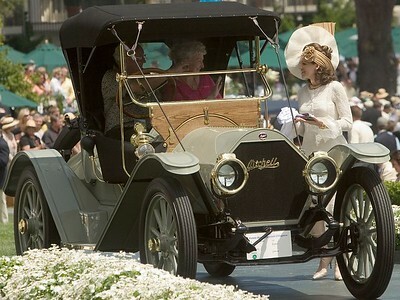 2nd Packard 1925-40 Open. Paul Rydning. 1933 Packard 1005 Coupe-Roadster. 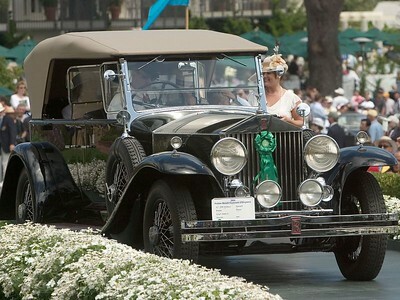 1st Packard 1925-40 Open. Don Sears. 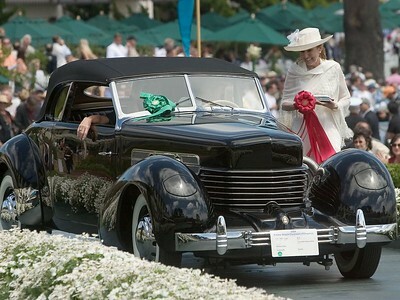 1939 Packard 1708 Brunn All Weather Cabriolet. 3rd American 1925-41 Closed. Barry and Sharon Briskman. 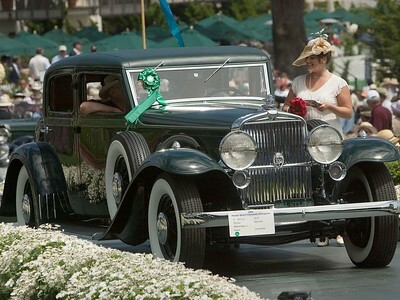 1933 Stutz DV-32 Weymann Monte Carlo. 2nd American 1925-41 Closed. William Ruger. 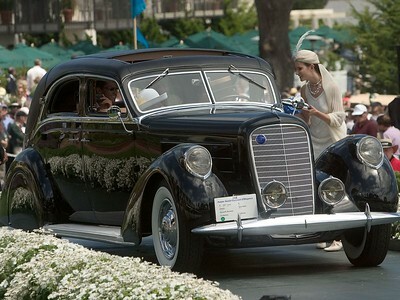 1937 Lincoln K Derham Sport Sedan. 1st American 1925-41 Clsed. Edmund Burchman. 1935 Hispano-Suiza J12 Van Vooren Cabriolet. 3rd Hispano-Suiza. Peter and Merle Mullin. 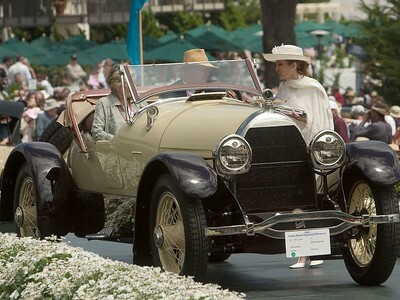 1919 Hispano-Suiza H6 Duvivier Torpédo. 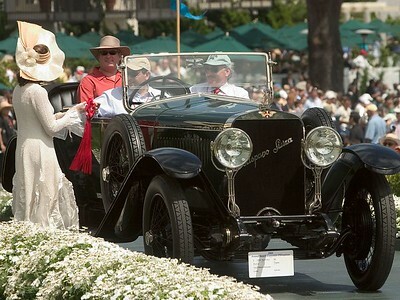 2nd Hispano-Suiza. Jorge and Monica Fernandez. 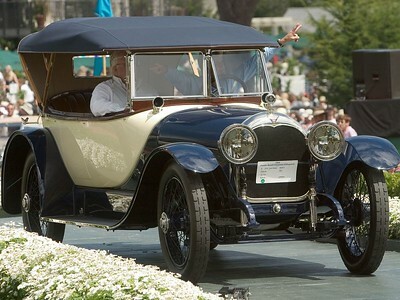 1926 Hispano-Suiza H6B Chapron Cabriolet. 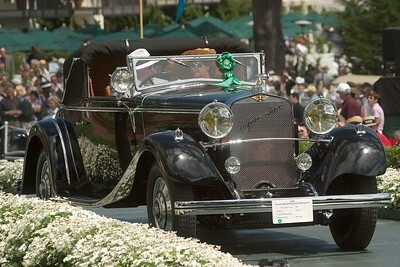 1st Hispano-Suiza. Frank and Milli Ricciardelli. 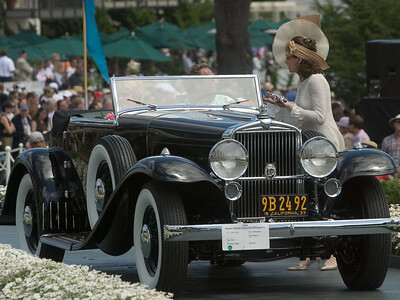 1929 Duesenberg J LeBaron Phaeton. 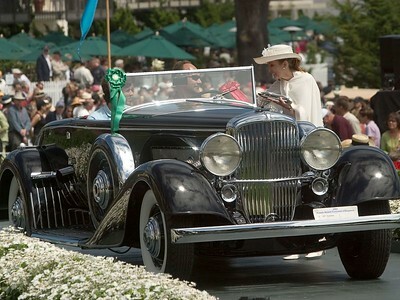 3rd Duesenberg. Terence Adderley. 1937 Duesenberg J Bohman & Schwartz Convertible Coupe. 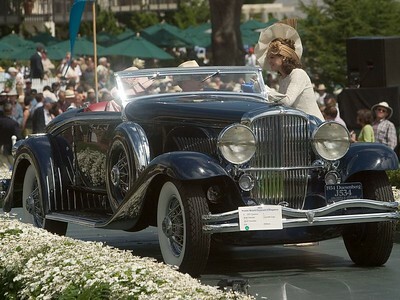 2nd Duesenberg. Harry Yeaggy. 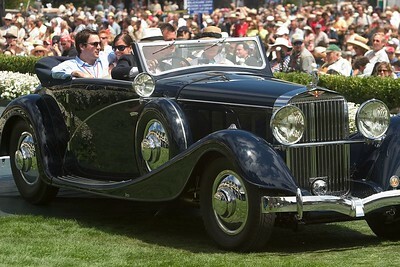 1934 Duesenberg J Walker-LaGrande Convertible Coupe. 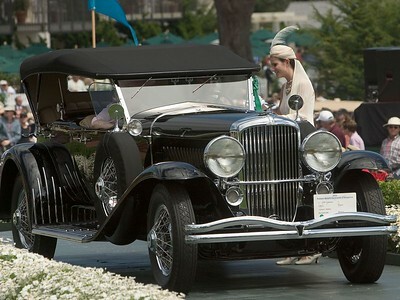 1st Duesenberg. John D. Groendyke. 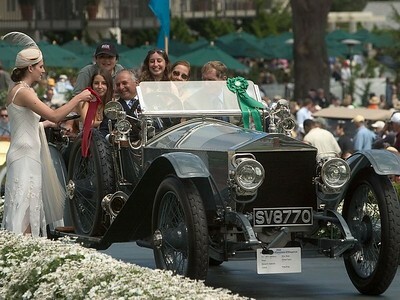 1912 Rolls-Royce Silver Ghost A. Mulliner Tourer. 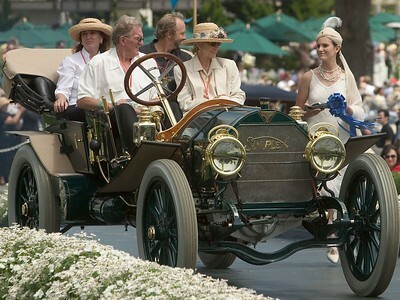 3rd RR Silver Ghost 1907-15. 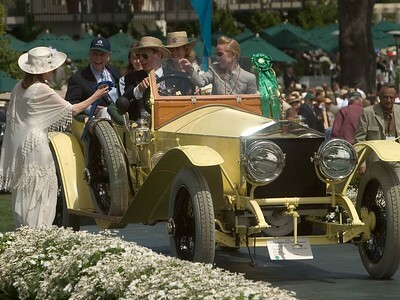 Douglas Magee, Jr.
1912 Rolls-Royce Silver Ghost Penny Holmes Tourer. 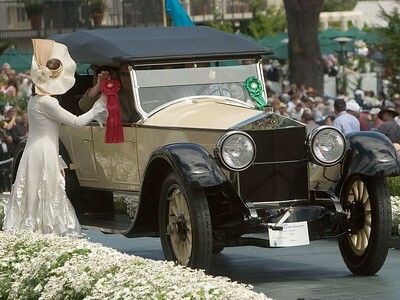 2nd RR Silver Ghost 1907-15. Michael Kadoorie. 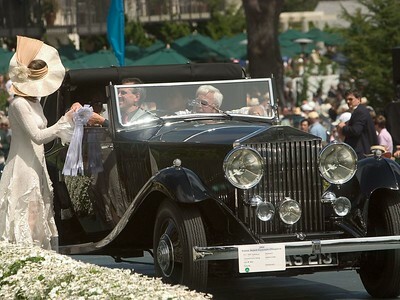 1933 Rolls-Royce Phantom II Continental Gurney Nutting Sedanca Coupe. 3rd RR Phantom I, II & III. John Rich. 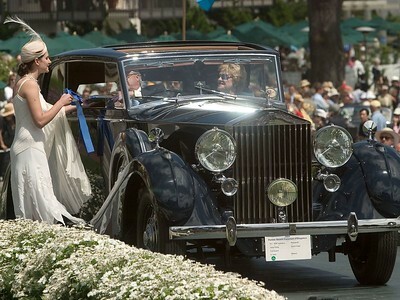 1930 Rolls-Royce Phantom II Brewster Phaeton. 2nd RR Phantom I, II & III. Irving Jensen. 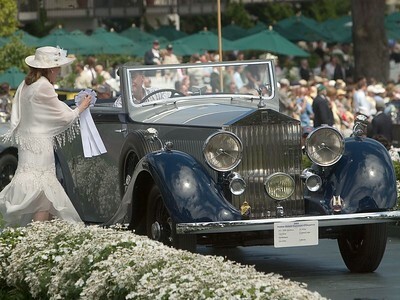 1939 Rolls-Royce Phantom III James Young Saloon Coupe. 1st RR Phantom I, II & III. Fred Guyton. 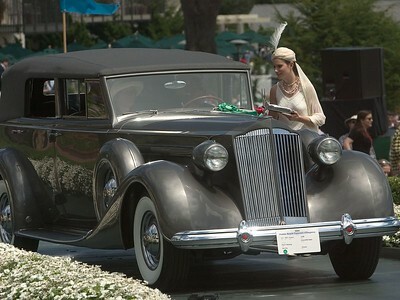 1936 Rolls-Royce 25/30 hp Park Ward Drophead Coupe. 3rd RR Small Horsepower. Neil Robinson.